Every addiction treatment program aims to help clients stop using drugs or alcohol, stay sober, and become productive members of society. However, this doesn’t mean that all treatment programs are the same. 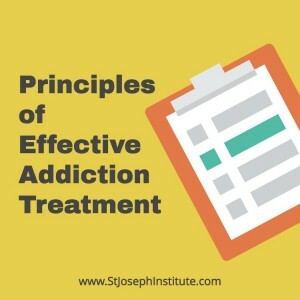 If you’re considering addiction treatment for yourself or someone you love, it’s important to be aware of the basic principles that an effective treatment plan should be based on. Addiction isn’t a moral failing. It’s a disease that affects both brain function and behavior, with many studies indicating that addiction can be linked to specific genes and inherited personality traits. Effective addiction treatment should stress empathy and compassion. Just as you wouldn’t chastise a patient for being diagnosed with cancer, people with drug and alcohol addiction don’t need to be judged for their past mistakes. They need treatment that heals their mind, body, and spirit. Ideally, someone suffering from addiction would realize the need to seek treatment and make positive life changes. However, treatment can still be beneficial even if an addict is in denial about the severity of his addiction. Involuntary treatment can be court ordered or it can be arranged by a concerned family member, such as a spouse or parent. For young people in particular, early intervention can prevent an addiction from destroying a promising future. When it comes to treating drug or alcohol addiction, there is no single treatment that’s right for everyone. Some people respond well to talk therapy individually or in a group, while others prefer to explore the issues surrounding their addiction in art therapy, music therapy, or other experiential therapies. There may also be special concerns, such as anxiety, depression, or an eating disorder, that need to be addressed in addition to drug or alcohol addiction. Part of the personalized approach to addiction treatment requires that care plans be periodically reevaluated to ensure their effectiveness. For example, a counselor might determine that a client who is experiencing difficulty transitioning back to work may have moved through the steps of their plan too quickly and would benefit from additional time to develop positive coping skills for handling stressful situations. Addiction treatment typically begins with a detox to help clients remove drugs and alcohol from their system. During this time, clients are monitored and given medication to help minimize painful or potentially dangerous withdrawal systems. While detox is a necessary part of the treatment process, the initial experience of getting clean is just the beginning. Multiple studies have shown that people who receive no treatment following detoxification typically resume their drug or alcohol use a short time later. Behavioral therapy is a cornerstone of any effective addiction treatment program. Behavioral therapy aims to help substance abusers modify their attitude towards drug or alcohol use, increase healthy life skills, and provide the motivation necessary to persist with a long-term treatment plan. In the early stages of residential treatment, clients may be scheduled for daily sessions. However, as they graduate to outpatient treatment, sessions will gradually become less frequent and focused on building an independent recovery. Medication can be very effective when combined with behavioral therapies. Medications can be used during the detox process or to help prevent relapse, as long as their use is carefully monitored by trained professionals. For example, Methadone (Dolophine, Methadose), naltrexone (Vivitrol), and buprenorphine (Suboxone, Subutex, Probuphine) can be used to treat opioid addiction. When substance abuse is linked to a desire to self-medicate a mental health disorder, medication can be used to get these underlying conditions under control. For example, antidepressants can stabilize the mood swings associated with depression and thus help reduce cravings for drugs and alcohol. Treating addiction takes time. Nobody develops an addiction overnight, so it’s unreasonable to expect that a treatment center will be able to work miracles in a few days. An addiction treatment program typically lasts at least 30 days, with extensive follow up care afterwards. A person who struggles with drug and alcohol addiction won’t be “cured” when they leave a treatment facility. Addiction is a chronic illness that requires vigilance to prevent relapse, much like diabetics must pay careful attention to their blood sugar each day. Someone in recovery will still experience cravings and be faced with the temptation to use, but the skills they learned in treatment will allow them to make positive choices and set the stage for a brighter future.